Building maintenance workers, also known as general maintenance and repair workers, handle a variety of tasks that vary by the job. Some building maintenance workers are employed by Retail business’ while others work for high-rise office or apartment buildings or even private homeowners. A building maintenance technician must possess a variety of skills encompassing most of the construction trades. Maintenance workers might paint the lobby one day, fix a broken garbage disposal the next morning and replace a faucet later in the day. In a business, he might replace a worn belt on a piece of machinery or install a new outlet in the accountant’s office. 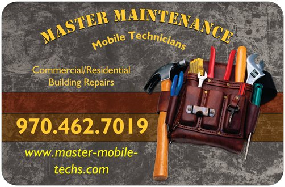 Building maintenance workers handle repairs that require basic skills as an electrician, carpenter, plumber, mechanic, painter, HVAC technician and roofer. However, building maintenance workers must always remain aware of their limitations and request the services of a licensed professional when the worker’s lack of expertise or local ordinances require it. Buildings require a certain amount of upkeep to look their best, maintain a safe environment and serve their intended function. 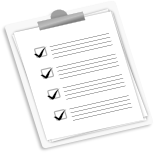 Building maintenance technicians conduct regular inspections to determine areas that need attention and then perform the tasks. The job might involve replacing a worn doorknob, oiling a squeaky hinge or replacing a damaged floorboard. He might inspect for burned-out light bulbs and replace them, change the filters in the air conditioning system or replace a hard-to-operate lock. In an industrial setting, the maintenance worker might have a set schedule of routine maintenance procedures to perform on , such as greasing the bearings or changing the hydraulic fluid. Depending on employer, building maintenance technician might perform a number of miscellaneous duties. In some settings, they might install cables for computers, deice the walkway or assemble new equipment. They might hang new drapes, order supplies and parts or install bulletin boards. Some employers include exterior maintenance items such as gates, parking lots and fences.